LEWCO Portable Incline/Decline Belt Conveyor - LEWCO Inc.
LEWCO recently provided a series of declining belt conveyors for an automotive sub-supplier to handle injection molded automotive parts. The injection molding machine is unloaded from the top via a robot. The robot places the part on the flat section on the belt conveyor. 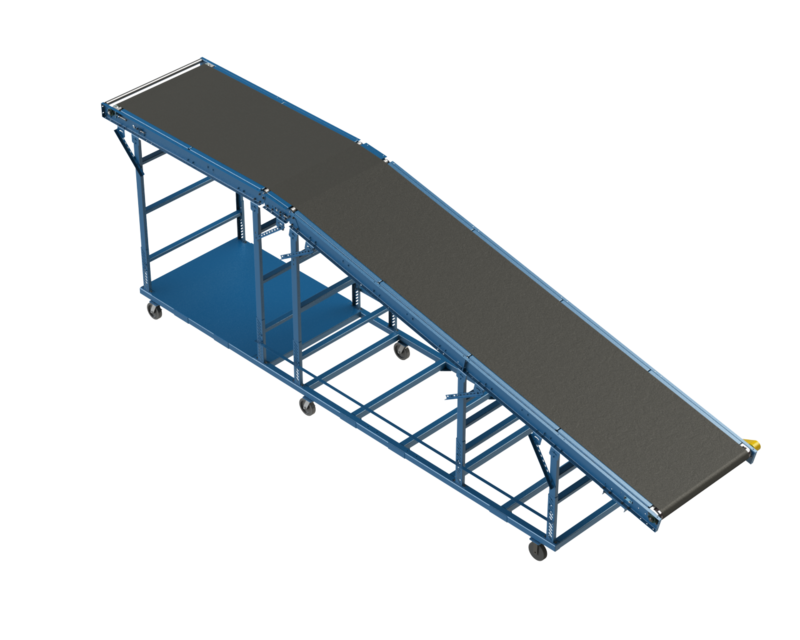 The belt conveyor then conveys the part down to the operator on the ground to be unloaded and placed in racks. This conveyor needed to be portable so the customer could do maintenance and housekeeping around the injection molding machine.